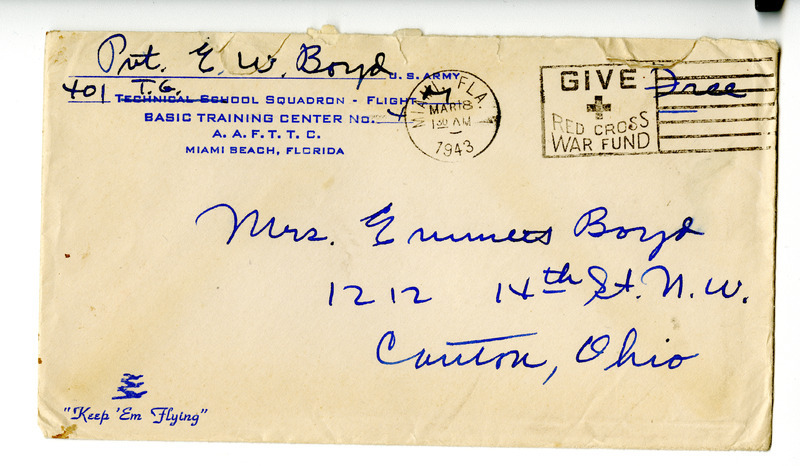 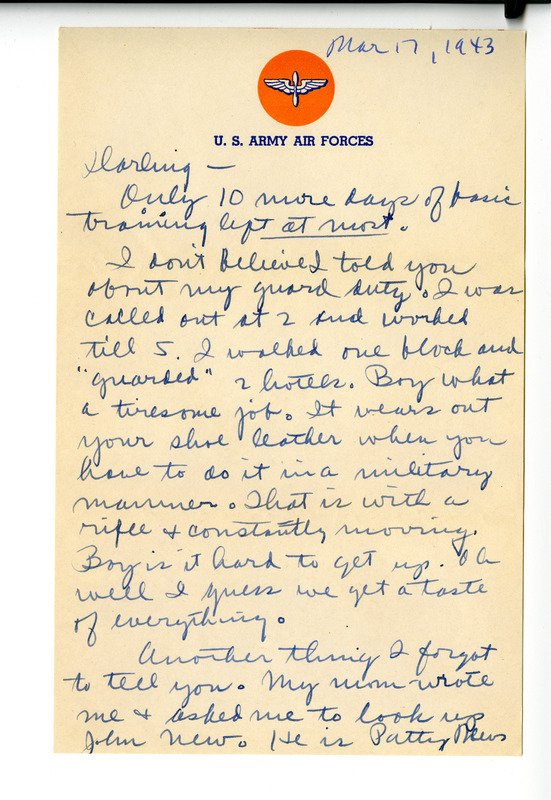 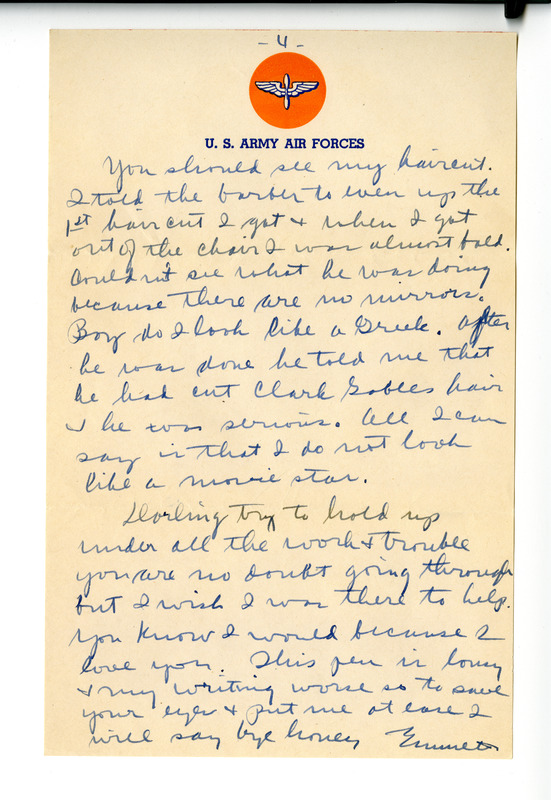 Emmett Boyd writes to Jane about his experience so far in the military training base in Florida. 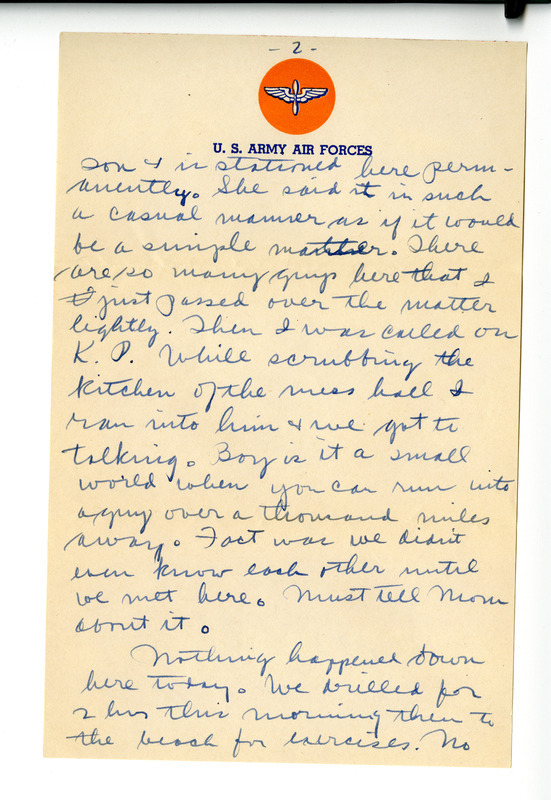 He also discusses other news he has received while still asking after Jane's welfare. ,” Meeting Jane and Emmett, accessed April 19, 2019, http://meetingjande.net/items/show/4.